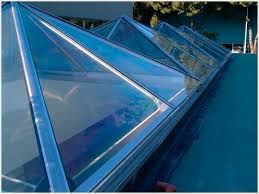 Polycarbonate is commonly known by the brand names Makrolon or Lexan. This material has a higher impact rating than acrylic where vandalism and breakages may happen. Polycarbonate does scratch easier than acrylic due to the softer compound. Available in different grades - GP (General Purpose), UV, AR (Abrasive Resistant) and Hygard. 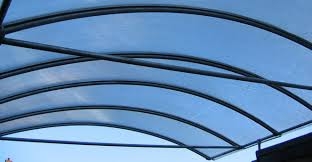 Clear and Grey Tint polycarbonate is UV stabilised on both sides. 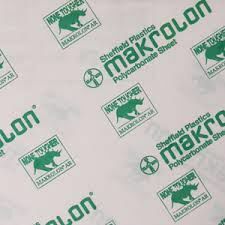 Can be used in roof panels, glazing purposes, race car window panels, pool fence compliance panels, balustrade panels, gate and fence infill panels, machine guards, headlight protectors and more. AR1 or AR2 - Hard-coated on one or two sides that adds higher abrasive resistance and surface hardness. 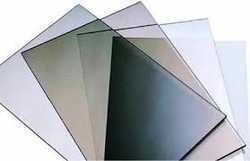 Used in flat architectural glazing and machine guards. 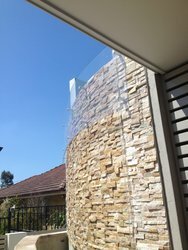 Hygard - Ballistic glazing grade used within Government and Detention Centres, Banks, 24hr convenience stores, cash transaction windows etc. Available in clear only and withstands 9mm ballistic attack.